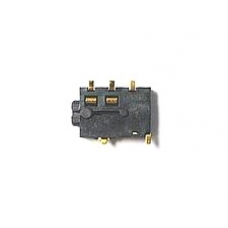 The iPAQ audio jack connector is soldered to the iPAQ 1900 series main board. If your headphones stop working or that there is no sound at all being produced even with the volume turned on from the iPAQ speaker, odds are the audio jack has failed replacing this jack part will usually correct the issue. Audio jack suitable for h1910 , h1915 , h1920 , h1930 , h1935 , h1937 , h1940 , h1945.